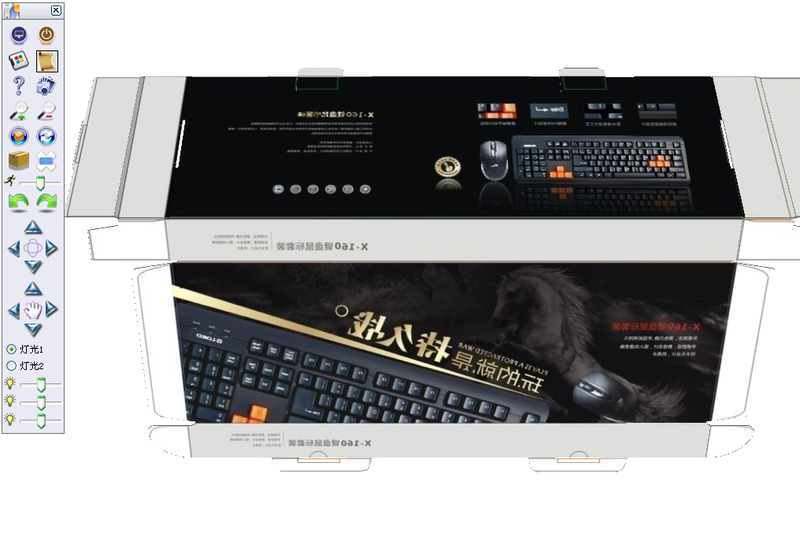 How to design a computer keyboard packaging? 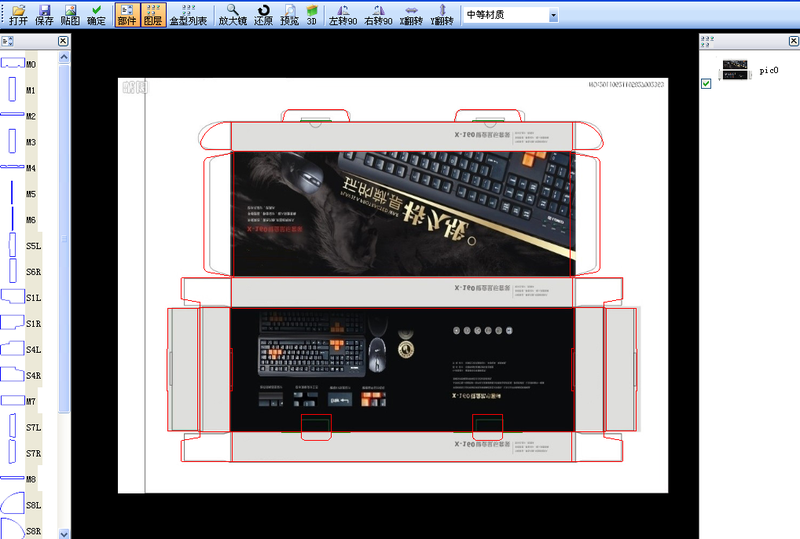 Share a computer keyboard design packaging to you guys, including vector image and texture. Packmage box templates can be downloaded. Open the keyboard templates in Packmage (this is a very standard desktop keyboard) According to the actual need, input width, length, depth and other parameters. 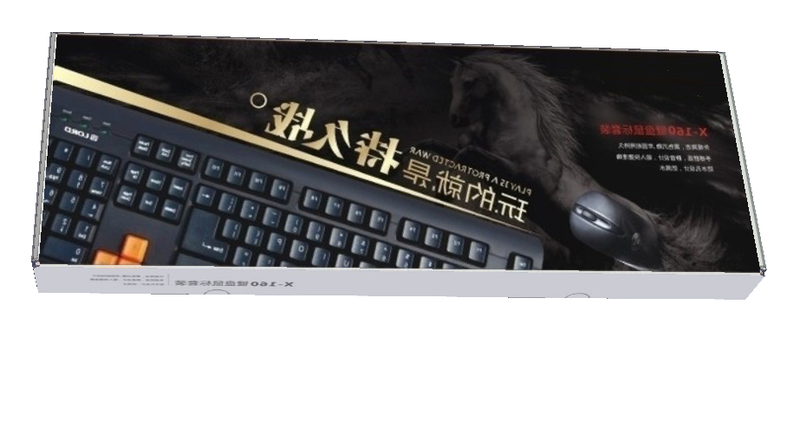 We take: L = 400, W=145, D = 35 (mm),etc., after the completion, we save and can generate the DXF format which is the die cut. It is good for late printing. Click on the 3D and appreciate your own design. Is this the best 3D packaging design software? 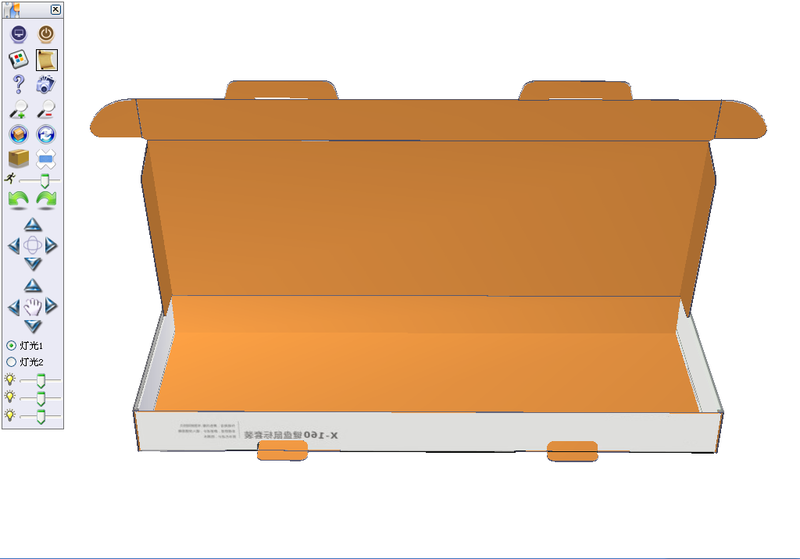 In order to do the best packing design software, Guangzhou Eprinter Company(based in China) introduced the 3d fool operation into Packmage CAD. 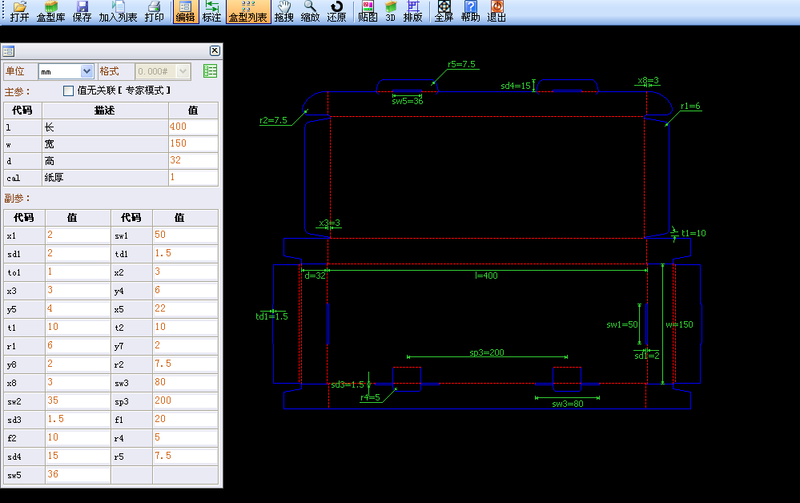 It is different from the traditional software, this 3D operation is very simple. 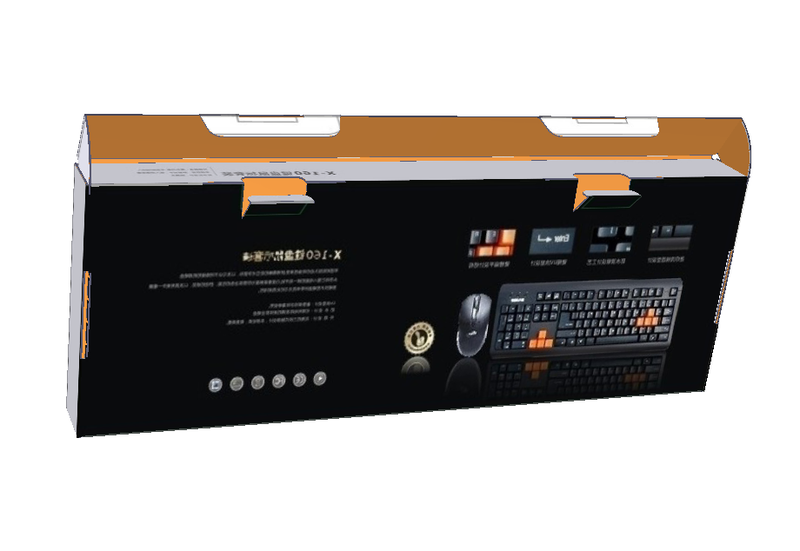 Only using buttons “B” and “V” of the keyboard, the box can be folded, unfolded and pulled. When designers are in the operation of the texture, texture can be set to HD, so it will become more clear in entering 3D interface. After finishing adjustment, you can also save view to high value. It is very convenient for designers to do 3D effects with Packmage CAD. Especially when cooperated with image processing software, such as, PS, AI. The work will be done with great facility. The biggest application of Packmage CAD is putting graphic design and packaging design together directly and perfectly. 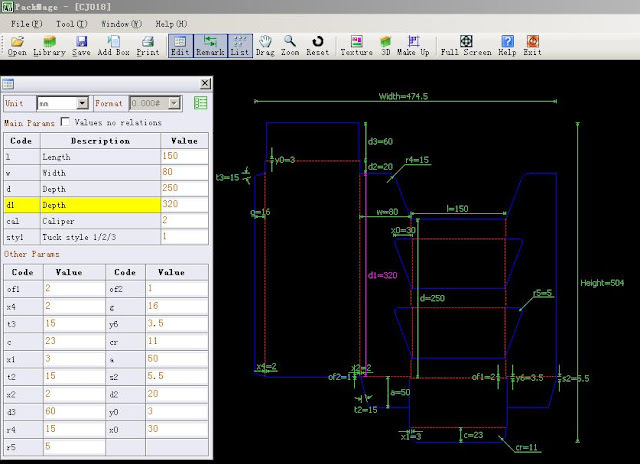 You can design the plane , you can design packing, you just need Packamge CAD. I believe you can do it, cann’t you?